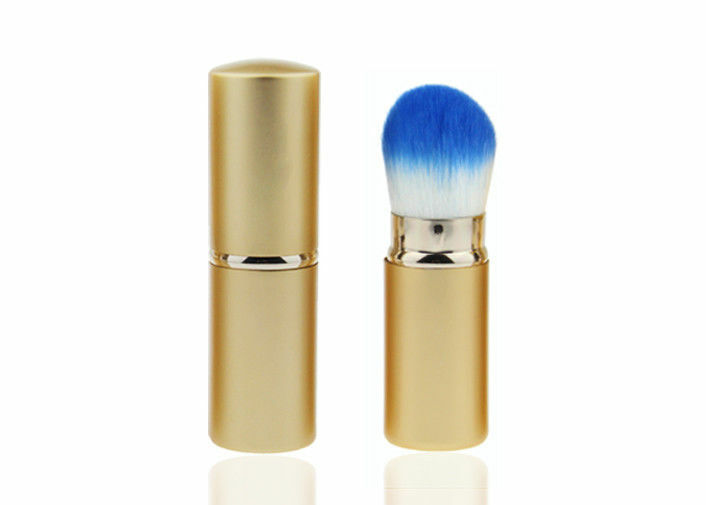 Nylon hair makeup powder brush retractable style. Blue and white color nylon hair,fashional and professional design. Hair made of soft nylon hair, easy to wash.